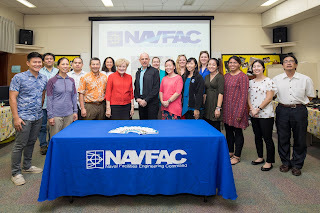 For the third straight year, the NAVFAC Pacific (Naval Facilities Engineering Command Pacific) sponsored #EngineeringDay at the Academy with the goal of educating and inspiring Academy students about science and engineering fields they might consider pursuing as future careers. 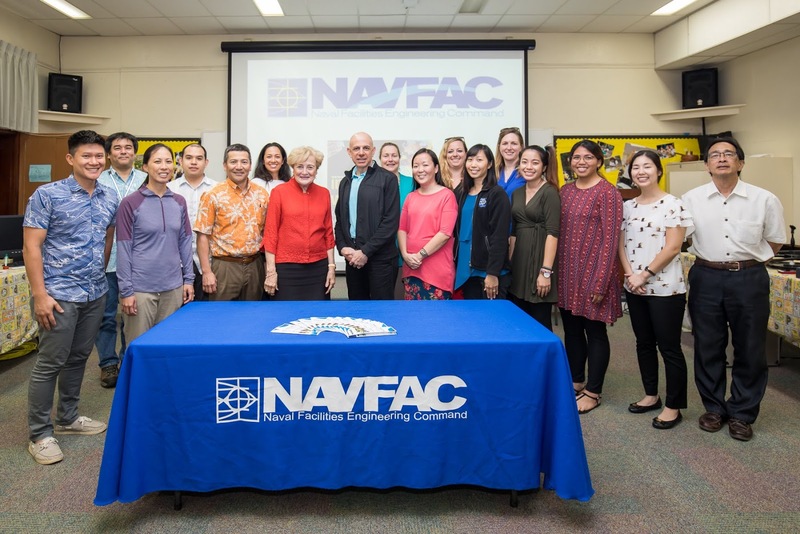 NAVFAC engineers, scientists, and architects gave short introductions of themselves, their positions and their personal journey into their given field of interest. 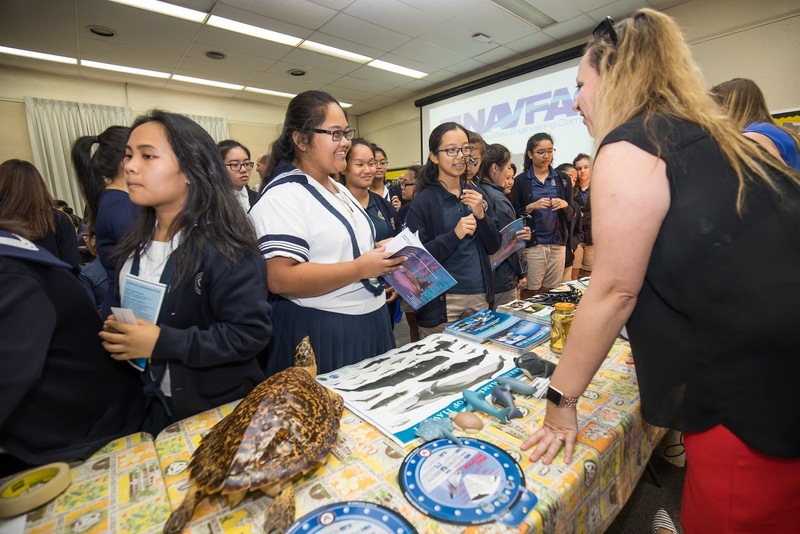 After the presentations, students got involved in fun and educational interactive displays and demonstrations with the NAVFAC personnel. Many thanks to Helen Chou and Chief Engineer Ralph Luca for organizing and bringing this outstanding annual opportunity to Sacred Hearts Academy! 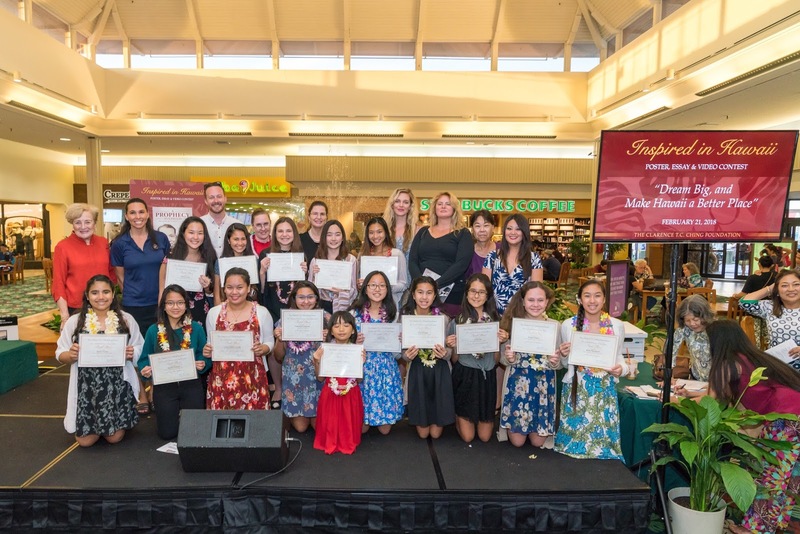 More than 1,400 students from across the state submitted videos, essays and posters to the 8th Annual "Inspired in Hawaii" Poster, Essay and Video Contest sponsored by The Clarence T.C. Ching Foundation. Students were prompted to find the inspiration to "dream big and make Hawaii a better place." Sacred Hearts Academy extends its congratulations to the Academy's 16 finalists! Job well done ladies; your teachers and entire Academy 'ohana are proud of you! Click on the links below to view each winning entry; or visit "Inspired in Hawaii" to view all of the 2017 Clarence T.C. Ching Foundation Poster, Essay and Video Contest winners.